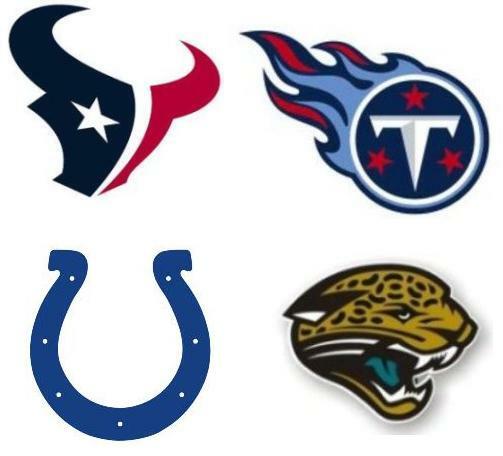 Today we look at the AFC South. One of the Texans biggest needs was at wide receiver. Andre Johnson finished the season strong, but earlier in the year people wondered if he wasn’t near the end of his career. The truth was that he was still recovering from an injury, but the fact remains that he isn’t getting any younger. Despite the two overtime wins in November, the team had issues when they were forced to throw the ball. DeVier Posey, their 2nd round pick from last year was starting to come around but injured his Achilles in the playoff loss to New England and will miss significant time. The addition of Hopkins will give them two receivers that can attack the secondary. Hopkins has good size and good hands. I hope the Texans did their due diligence in investigating the hotel room rumor. I can’t imagine the Texans would have drafted him if he had actually trashed the room. After losing Glover Quin to the Lions, the Texans signed Ed Reed, but that was just a short term solution. Fans knew the team still needed to address safety in the draft and the Texans chose to do that in the 2nd round with D.J. Swearinger. Swearinger is a physical player that doesn’t shy away from contact. He can also play centerfield, although he is better close to the line of scrimmage. He can learn from Reed and could be the answer in the future at safety. A year ago, the Texans cut right tackle Eric Winston to save cap space. The Texans never had anyone step up to claim the position last year. Rashad Butler was injured all season and the team ended up rotating Derek Newton and Ryan Harris. As the year progressed the right side of the line became a point of weakness. The running game was not as dominant and teams overloaded the pass rush to the right side to attack the Achilles heel of the offense. The Texans drafted Brennan Williams to push the other three tackles. He is a big tackle with long arms and an NFL-caliber body. He played on the right side at North Carolina, so he is familiar with playing on the right side. Williams has had some injury issues, but if he can stay healthy he could be the answer at right tackle. The Texans also lost right guard Mike Briesel last year in free agency. The Texans rotated two rookies, Ben Jones and Brandon Brooks. David Quessenberry could be the long term answer at that position. He played left tackle at San Jose State, so it’s possible he could be in the mix at tackle as well, but I like him better at guard. He is a former tight end with good movement skills. Quessenberry should be a versatile player for the Texans. Wade Phillips always needs pass rushers and they lost Connor Barwin to the Eagles in free agency. Sam Montgomery and Trevardo Williams give them two outside linebackers with speed and pass rush skills. The Texans really needed an inside linebacker also. They traded DeMeco Ryans last year and the position was the weak spot of the defense, although the Brian Cushing injury compounded it. Cushing should be back, but Bradie James may not be. Some of the rumors are that Brooks Reed may be moved inside and the two rookies will be allowed to compete for Brooks outside spot. It will be interesting to see how the Texans try to fill the other inside spot next to Cushing. I haven’t seen Alan Bonner play, but looking at his stats, he played 4 years and increased his stats every year. He also returned kicks, which was something the Texans did not do well last year. Chris Jones was a 3rd team All-American and 1st team All-MAC defensive tackle. With Shaun Cody possibly not returning, he would give the Texans someone to possibly backup Earl Mitchell at nose tackle. In 2011, Jones led the MAC with 8.5 sacks and was 4th in the MAC with 14 tackles for loss. He is a bit undersized for a nose tackle, but Wade likes undersized nose tackles. If he can get off of blocks at this level, he could make an impact. Ryan Griffin is a big 6’6” tight end. He played four years at UConn and had 116 career receptions. He had 6 touchdowns his senior season, so they obviously looked for him to use his size in the red zone. After letting Dwight Freeney leave in free agency, the Colts needed an edge rusher to pressure the quarterback. I really like Werner and his motor, but I’m not real sure he’s a good fit as a 3-4 linebacker. I love him as a defensive end, but only time will tell if he can make the transition. Andrew Luck was sacked 41 times last year and took some big hits. That’s not what you want happening to the face of your franchise. The Colts next two picks were an effort to address that issue. Hugh Thornton played both guard and left tackle at Illinois. He has good mobility and is probably better as a guard at the next level. Khaled Homes was the top rated center before the 2012 season started, but his draft stock dropped, as did most of the USC players. Holmes injured his right ankle during the season and missed the Stanford game. He played every other game, but it makes you wonder how healthy he really was. You have to give him credit for playing with the injury though. Montori Hughes is a big, raw, athletic player that will be a backup at nose tackle. His is disruptive and does a good job shedding blocks. Hughes is a guy that shuts down the middle of the line. John Boyett was a very highly rated safety until he tore his patellar tendons. He only played one game in 2012. If not for the injury, he would have easily been taken in the first two days of the draft. He is a physical player that comes up quick to fill lanes in the run game but also reads the QB well. He needs to work on his ball skills, but he is a guy that is always around the ball. Kerwynn Williams is a scatback that can be a good change of pace runner. If he gets to the corner, he is a threat to take it all the way. He gives good effort in pass protection, so he may get a chance as a third down back. Williams is versatile and had over 2,000 all-purpose yards in 2012. Justice Cunningham was Mr. Irrelevant in the 2013 NFL Draft. Cunningham has a chance to be relevant though. Offensive coordinator Pep Hamilton loves to use tight ends. The Colts already have Coby Fleener and Dwayne Allen, but Hamilton is not afraid to throw three tight ends into a formation. Cunningham is a good inline blocker and could get some playing time, especially as a blocker. He has sneaky receiving ability and softer hands than you would think. For the AFC South, I’m calling this the J.J. Watt draft. If you notice, every team in the AFC South took offensive linemen to try to slow down the NFL’s Defensive Player of the Year. The Jaguars started the trend when they draft Luke Joeckel with the second overall pick. They seemed to be content to take whatever offensive tackle the Chiefs did not take. The Jaguars have Eugene Monroe as their left tackle, but he can become a free agent after this year. It’s possible the Jaguars start Joeckel as the right tackle this year and then move him to the left side next year. John Cyprien may be the most complete safety in a strong draft for the position. He is a tough, hard-nosed player that also has cover skills. He has versatility that will allow the Jaguars to do a lot of things defensively. He is likely a plug and play starter beginning day one. Dwayne Gratz is also a player that has a chance to start immediately. He stays low in his backpedal and breaks well on the ball. He is very good at closing on underneath throws. At times his aggressiveness can be used against him with double moves. He should bring aggressiveness to a Jaguars defense that really needs it. The Jaguars next two picks are very explosive players. Ace Sanders is a slot receiver that has great moves in the open field. He has quick feet and the ability to juke defenders and fly right by them. Sanders can stop and start on a dime and is a playmaker that is greatly needed in the Jaguar offense. He was also one of the best return men in the country. Denard Robinson is the same type of dynamic player. When he gets in the open field, he’s special. He will, however, be making a position change in the NFL. He will not be a quarterback, but will either be a running back or wide receiver. It may take some time to adjust, especially if he’s a receiver, but I think he’s the type of player that brings big play ability to the offense. I have heard the Jaguars may play him at running back which would allow him to make an impact much quicker. Josh Evans is an aggressive safety that is a good blitzer. He is very good in run support and makes plays all over the field. He will give the Jags depth at the safety position and could possibly team with Cyprien in the future to make the position a strong one. Jeremy Harris is a long, thin corner. He played for Jags DB coach DeWayne Walker, so there must be something he liked about him. Demetrius McCray is a small school guy with good size. He is physical and has good coverage skills. Walker and McCray both have the size that new coach Gus Bradley likes his corners to have. The surprising thing is that the Jaguars did not draft a quarterback at all. That means they will go into next season with Blaine Gabbert and Chad Henne as their QB’s for the second year in a row. Neither QB played very well in 2012. A name to watch in future years is Matt Scott, who was signed as an undrafted free agent from Arizona. Scott is the type of player that could run the zone read offense and possibly flourish in that style offense. He may take a while to develop though. Tennessee quarterback Jake Locker has not progressed the way the team would have liked. This off-season they have clearly decided to make moves to take the pressure off of him so that he can grow. The Titans strength is their running game with Chris Johnson and Shonn Greene on the roster. If they can control the ball on the ground, that will take a load off of Locker’s shoulders and allow him to just run the offense. The Titans actually started the offensive line theme for the AFC South this offseason when they signed guard Andy Levitre in free agency. They continued to add to their offensive line by drafting Chance Warmack to play the other guard position. Warmack explodes off the line of scrimmage and is good in tight spaces. He is a physical, dominating run blocker that stays engaged with his block until the whistle blows. Receiver Kenny Britt was a first round pick in 2009. He has played well, but he has had multiple off-field issues. The pick of Justin Hunter (along with Kendall Wright last year), could be the teams’ way of sending a signal to Britt. If Britt can get his act together off the field and pair with Wright and Hunter, the Titans could very well end up with a dynamic receiving corps. Blidi Wreh-Wilson is a physical, press corner with good size. He should provide depth to an already solid group of corners. Wreh-Wilson is a smooth, fluid player that plays under control and knows how to blanket a receiver. Zavier Gooden is a former safety that can flat out fly as a linebacker. Gooden has freakish athletic ability and is good against the pass. He does a good job running from sideline to sideline chasing down ball carriers. He should be able to help right away in nickel and dime defenses and will likely be a special team’s standout. Gooden gives them good depth in case Zach Brown or Akeem Ayers gets injured. This is becoming a very fast linebacking corps for the Titans. Brian Schwenke could be the last piece of the puzzle for the offensive line. It’s a little bit of a different pick though. Schwenke is a very mobile player that is a nice fit for a zone blocking scheme which seems to be different than what they are building. Nevertheless, he was great value in the 4th round and I think will eventually be the starting center. Lavar Edwards was overshadowed by Barkevious Mingo and Sam Montgomery at LSU. He is better against the run than he is rushing the passer. Edwards has a quick first step, but doesn’t have elite burst around the edge. His best pass rushing move is when he can get inside of the offensive tackle and use his strength to beat his man. Khalid Wooten is a high effort guy that can play special teams and return kicks. He is seldom out of position in pass defense and does a good job in man coverage. Damion Stafford is a big, physical player that excels in stopping the run. He is an aggressive player that throws his body around, but sometimes he gets too aggressive and overruns the play, giving up cutback runs. He is not as good at defending the pass, but should be a good special team’s player. This entry was posted on May 9, 2013 by draftmaniacs in Draft Analysis and tagged 2013 NFL Draft, 2013 NFLDraft, Bjoern Werner, Chance Warmack, DeAndre Hopkins, denard robinson, Georgia football, John Cyprien, Justin Hunter, Luke Joeckel, NFL, NFL Draft.